Dave Olson Yeah. And I think so. I think so. I think so. We’ve got a running chronology of our growth here going with you. Easy Anderson: Yeah. I think the first time we had the – I don’t know. You were – were maybe a hundred thousand or so and what do you, guys, up to? What do you, guys, up to now? Dave Olson As of Monday, we – we hit the three million sign-up threshold. Easy Anderson: No way. You, guys, just blew through a million last time we spoke. Dave Olson It is – it is pretty remarkable. Our growth curb keeps on going more and more vertical. The first million took us about 18 months, the second about eight and the third about six. Dave Olson … almost 60% of our growth coming outside the North America now. Dave Olson A lot more mobile signups. You know, mobile are definitely big driver for us. You know, obviously, we’re on the iPhone as well as android and blackberry as well as the Japanese feature phones. Dave Olson So that definitely helps but yeah, we – we keep on growing, keep on adding and the future is ours. Easy Anderson: Okay. 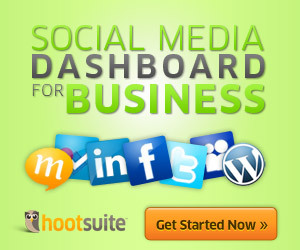 I want to back up for the readers, the listeners that – that don’t know HootSuite is. Can you give us a 30-second rundown on what you, guys, are doing and what you – what you – are into now and who you are? Dave Olson Well, we make a Social Media Management or Dashboard, if you will, that allows users to bring in all their different Social Media profiles into one centralized web-based location to then broadcast message whether that’s scheduling or real-time monitor conversations for any of their profiles, hash tags, lists, whatever you got, as well as track all those results and success to your campaign through analytic reports and so on ’cause you know, it is no longer enough to just say, “Oh, we’re building both for Social Media.” You know, you really have to show what the success isn’t and allows folks who are Social Media managers, community managers, marketing folks to really do some experiments and see what works out there in the social world. Dave Olson We’re based in Vancouver, BC but like I mentioned, we’re – we’re all over the world and find ourselves in all kinds of unique situations around the world because of this large customer-based and you know in the greater scheme of things, three million is tiny compared to some of the behemoth out there but our users tend to be folks who have multiple accounts, in some cases, hundreds, a lot of corporate and enterprise accounts, TV networks, publishing, publication companies where they’re broadcasting messages that grant all across all sorts of properties. So, you know, really from power users to small-medium businesses to government agencies, they’re really all than our mix. Easy Anderson: Right. Yeah. And I know you, guys, get some big names. Can you recall four or five of the big ones up there? Dave Olson … and you know what I noticed the other day, the daily show using HootSuite. Dave Olson To me, that is like – you know, that is really break at home ’cause that is a program I watch and it is about you, Americans and your politics are so funny talking. Dave Olson Or what I saw the clash when the grace rock and roll bands of all time using – using HootSuite to update her Facebook page. Dave Olson That is – that is a real treat but without there is hundreds of other people, if you were to elect to your client list, they’ll be different ones that would pop up on your radar but you know, any, everything from the UK foreign service is one that I think it is pretty neat experiment because UK has embassies and consulates which literally everywhere. Dave Olson So that is – that is a really interesting youth case but at the same time, I just love seeing people who are really using our tool to build up their small home-operated business and all of the sudden, we’re helping them gain a sense of independence, financial freedom, helping them fulfill their dreams by making – by making these tools. Easy Anderson: Got you. And then you know I know you talked about the – the Social Media managers and everyone else. I mean, I personally, as I have a lot of my clients using it that are small business down their that actually want to be able to qualify with they are doing on Social Media because you know there’s still a lot them that – that know about it but do not really use it and I know the reports that I get from you, guys, because I am a plain customer, too, just for – for full discovery group. Dave Olson I love you more, slightly more than – than most then. Easy Anderson: Sure, you would. Dave Olson … to talk a little bit our line? I’m not someone who obsesses on that that too much but obviously it is a really important part of it and with our recording tools and what you are talking about there, the Summary Report that we send out, that tell us kind of the basics but within our analytics modules this is probably three-dozen different modules now that you can create and build your own custom reports to measure exactly what it is that you are trying to figure out. You know, I like to think of Social Medial as a collection of tools and tactics to help solve problems rather than this big amorphous blob of conversation, right? Dave Olson And so if you are trying to improve this sentiment or the feeling about your brand that is one thing you can track. If you want volume, how many tweets, you can track that and you can also see exactly which tweets, which times of day, and so on, are really getting results, what they are, the week and so on so you can start to tailor your messaging based on that and then if you are really obsessive about it, you can start using custom url parameters and really track that back through Google analytics to know exactly which tweet that you sent out resulted and how many signups, how many list subscriptions, how many purchases, how many increases, how many resumes, whatever you are trying to solve. So you can get that under granular level exactly how many. Dave Olson We have some case studies about this. One in particular a hotel and casino down in Nevada. I did a great experiment where they were tracking hotel room rentals exactly based which tweet, which Facebook post, what G+ post, whatever, that room booking came from and that is incredibly powerful that billboards, radio, TV, and those other traditional forms of magazines, advertising and so on can’t really deliver on. Dave Olson We appreciate that. Easy Anderson: Yeah. What are the things I wanted to talk to you about because I’m – I’m dealing more and more with a tons of startups these days and you know one of the easiest ways for them to grow fast is exactly what you, guys, have done, and can you talk to me a little bit the experiment because you are one of more explosively, explosive growth companies that’s out there that I know of as far as number of users and everything. Can you – can you give me a little bit of history about how you, guys, get started, if you can, and you know, what was involved, did you, guys, break the piggy banks to fund yourself? Can you give me a little bit of a background on that? Dave Olson … or on the – on the blog, but HootSuite was born from within an agency called “Invoke” that with the digital agency doing all sorts of different services for clients including building out some products including what they called “Memelabs” which is a video-contesting platform, simple simple CMS editor at this time and so HootSuite originally was born to take care of some internal conundrums of how to manage multiple Twitter accounts from multiple clients without having to log in and out of Twitter which – everyone has tried to do that as real dragon as just going to be right with mistakes. So that was the first problem that we would set out to solve. That was – the first version was built kind of almost tons of a side of a desk project as a little experiment and released in a very short period of time to see what the public thought of it. From there, there was a very quick immediate growth. Then we realized that there was something – something there so the team began adding some more features that move towards having multi account – multi, multiple editors editing those multiple accounts. I started working towards analytics and so on and so very quickly integrated based on market reactions. So that is I think one of the key things of why we grew so fast. Now, when we got to the point where there was enough users to really say, “Well, we can make something out of this,” HootSuite spun off from the agency after raising $1.95 million from a consortium of venture partners and from there, we’ve kept at kind of an underdog, scrappy, hardworking kind of attitude where over the last two years we average a new significant software release every two weeks and we just added features responding very directly to the request that we hear from the feedback channel where folks can go and submit and ID and voted up and voted down and so on. I’m really looking and talking to a lot of community managers and marketing types and saying, “What problems, what situations do you have that we can help you solve?” Now, keep in mind that three years ago Social Media wasn’t near what it is now and has been explosive growth all through out the industry but also three years ago, two, three years ago, there was a whole bucketful of folks that were – would be considered competitors to HootSuite. Managers have been acquired now, a few have gone by the wayside and a few of them have pivoted and now we see a whole new batch of one that have served, taken what we’ve done and try to modify it and tune it, customize it a little bit to their thing so, it is definitely a ground swell within the industry for these tools as Social Medial has become a thing for business but we’ve always kept a lean, non-fancy kind of attitude where boots – you know, where boots on the ground and fingers on keyboards and head down making stuff happen and I have kind of a unique role in that. I use a Social Media tool to promote a Social Medial tool to other Social Media practitioners so it is a little bit matter recursive but you know over the years I’ve helped dozens and dozens of small businesses kind of get going with internet stuff and we’ve kind of kept that attitude of being helpful as we’ve grown and got a little bit more up market with the enterprise customers. We’ve grown from – I was number 9 and we’re up in around to hundred employees now. We’ve probably be 200 by at the end of the year and we do not have a – you know, we do not spend money on the – like our offices look like a Facebook office and the social network movies, just to say that. Dave Olson … split in to three rooms but it is – it is a, you know it is more like a bunker clubhouse where you come in and there is people sit down and get right to work. He is not allowed to – we still keep a real sense of urgency and entrepreneurial spirit about us in everything that we do. Easy Anderson: Right. Well, that is cool. And then you know not giving away the – anything else here. Have you, guys, I know you were – you were free at first, right? You weren’t charging anything for the service, correct? Dave Olson Yeah. For sure and still 95, 96% of our users use the free product. Dave Olson And really within a premium business model, you know, meaning that most folks are going to use the free one and folks who need a little bit more, we certainly have those things start at $5.99/month like you mentioned earlier but then from that, we’ve added a few more add ons to that including a HootSuite University Program which is a subscription-based program that folks can earn a certification so they can have a basically they were student in a HootSuite authorized consultants directory and have a badge and put that on their link down and really can participate in on-going training with industry leaders to connect in webinars, updated courseware and so on, so it is a really powerful thing. Dave Olson … and you know more team members are little bit more account provision in and hand holding an account management to get customers initially set up but – but you are right, it is a – it started as a free product and still has a free component and was just expected all his will and you know like I said, I love all our users equally and seeing folks sign on from far-flung countries is as exciting for me as seeing the largest companies in the world sign on and with our enterprise package although my bank account like the second category better. Easy Anderson: Yeah. Well, but one for the first category, the second guy who will be probably around now, do you know? Easy Anderson: So, as far as founding guys, you said you, guys, got 1.2 mil, is that Canadian or US? Dave Olson There was 1.95 million and that was in December of 2009 and that was US dollars. Dave Olson … when these big raises that you hear banded around in the industry these days. Easy Anderson: Right. So, well, without – without – what are your future plans with that without – I know you probably can’t say anything but I mean, do you, guys, just plan on getting grow as fast as you can here and then you know I – I – what’s the – what is the over archiving long term five-year plan or even you, guys, haven’t thought that for? Dave Olson … and at some point, we’re going to need to band a little bit physical office space but really we’re in a scaling mode and really working on that international expansion as well, do you know, where – you know, there are top 10 countries that changed a little bit over the last couple of years but you see countries like Brazil and Indonesia, Germany, really started to get on that Social Media bandwagon. Dave Olson And so that’s definitely some, you’ll see, you’ll see more languages coming out, more localizations as well as continue to have more tools both for the free users and for the business customers. Easy Anderson: Right. Are you, guys, – do you – can you know at the top of your head if you, guys, are very big in the Africa yet or is that starting to catch up? Dave Olson Well, we did find ourselves in a – we have a lot of attendees in Egyptian uprising. Dave Olson Last – last January, just about a year ago now, we had overnight, we had 7,000 percent growth from Egypt which is a little bit of a surprise and what has happened is when the government shut down, block Twitter and Facebook there, it did not block HootSuite so the word quickly spread around all the activists and so on HootSuite and protesters, government, tights, journalists, whatever. They could still get message through HootSuite so for 36 hours or so, and basically, any social mention that came out of Egypt came through HootSuite. Dave Olson … remarkable considering the sizes varied either. Dave Olson … we bring them all and then we listen to everything. I monitor every mention of HootSuite anywhere on the social web and tried to always keep my finger on the pulse of what’s going up there and what our customers are thinking about and what they care about and so on. Easy Anderson: Right. Is there anyone, of all the ones out there, which – were – were you, guys, see a lot of growth coming in. I mean, Google+ is – is quite a stop for early new. Is that growing as fast as you thought it would or any surprises out there? Dave Olson … and we have some customers, you know, TV networks and so on, that will have hundreds of Facebook pages that they’re managing. We’ve also added link-in company pages which have been a little bit of a slow, slower grower as folks are still figuring out it is something that they really need and then more or recently, we’ve seen a lot of growth with their apps. Now, you know, it obviously takes a lot of developer resources to build something into our tool so we’ve – now, working with the third-party developers to allow them to build in to our tool to through an SD chaos upward development kit. So, over the last few months, we’ve ruled out apps for flicker which I love, that one in particular. It allows you to monitor and upload comment, all the key features, did it with YouTube. Again, it is fantastically useful thing and not just for uploading videos but again, for monitoring ’cause lots of people who send up HootSuite fan videos, special videos. It allows me to surface that stuff without having to skip yet another tab. Dave Olson Cons and Contact gets satisfaction, tumbler, and all those and in there so – those are a lot of fun because whatever that has happened to a unique community and really bridge that – that in – well, it is really an invisible cousin between social and content. Dave Olson And got to go to where the eyeballs are at. Easy Anderson: Yup. Sure do. So cool. I’m done. Again, I’m flabbergasted, you know, congratulations on the growth. You, guys, are doing a great job and a great product and you know, all people out there that are aspiring to, you know build their own business that you can take to do like you do very well by just, you know, watching what you, guys, doing, how while you take care of your customers and how responsive you are. Anything you want to add or give you the last word here, Dave? Dave Olson If anything, your listeners are going to be at South by South West and also in Texas coming up here in March, it’s like Holy Week for our industry. 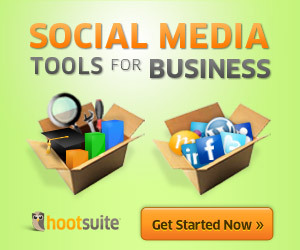 I will be there with the AOL listen great HootSuite’s way including some new AOL stickers. I know these are very high demand because we do limited run to each AOL and then that AOL design is done so if you’re lucky enough to get one of those, I think you have really enjoyed but I also have a speaking slot on Saturday, March 10th at 12:30. I’ll be speaking about the Crowd sourcing Community Projects, The Tom Sawyer Way, and I’ll be talking a lot about how we’d done our Crowdsource translation project and how to kind of invigorate the community to participate in gaining some objective done so I would love to meet any people who are listening and come up and say, “Hello,” and – and I’m reasonably friendly but a little bit clumsy. Easy Anderson: Of course, yeah. All right, Dave, we’ll listen. Thank you very much this will end the official interview here and you know continued success on everything you get going there. Dave Olson Thanks so much and thanks for taking the time to speak with me. Easy Anderson: All right. Great. Thanks a lot.